What do you think of these two names for our team? 1.Cochin Tuskers 2.Green Warriors/Heros. 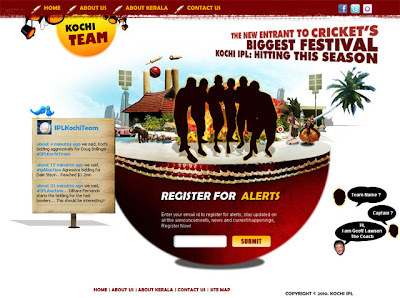 i suggest team cochi's name as "kerala thampuran's"
Cochin Chekavar is the best suiting name for Kochi. THE NAME OF KOCHI TEAM IS ''KOCHI TUSKERS''as the more elephant is found on kerala. so the name is right think about the kochi team.In this name i am sure the people of kerala are very happy and inspire to them. wonder y kochi hasnt selected a name yet? how about "Kochi Steelers"? or"kochi Dynamos"?